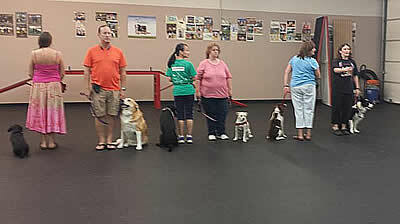 This class is designed for dogs 5 months and older. This course will teach the dog to heel, sit, down, stay, and come. Some of the behavior problems that will be addressed are barking, jumping up, running out the door, and any other problems you may be having can also be addressed. 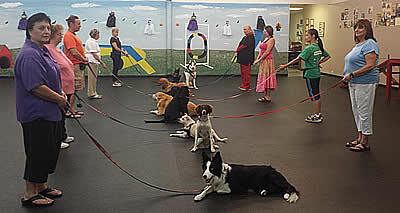 We use positive reinforcement while training to get your dog under control quicker. Your level of trust in each other grows while learning how to communicate. Proof of rabies shot is required before coming to this class.